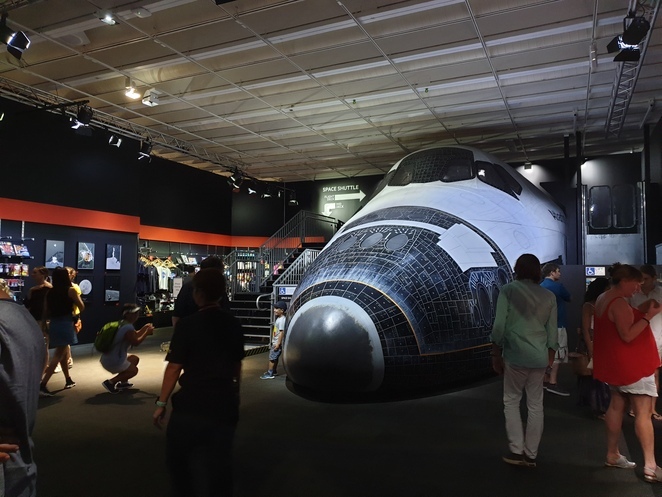 Today I had the great luck of being able to see inside the new NASA exhibit at the Queensland Museum. 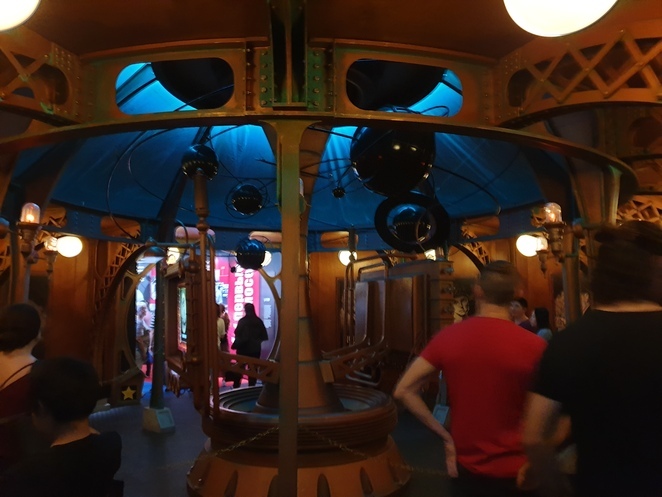 The exhibit is so big there's an extension on a second floor, I think that alone should be a testament to the sheer size of the exhibit and the marvellous artefacts it has on display. 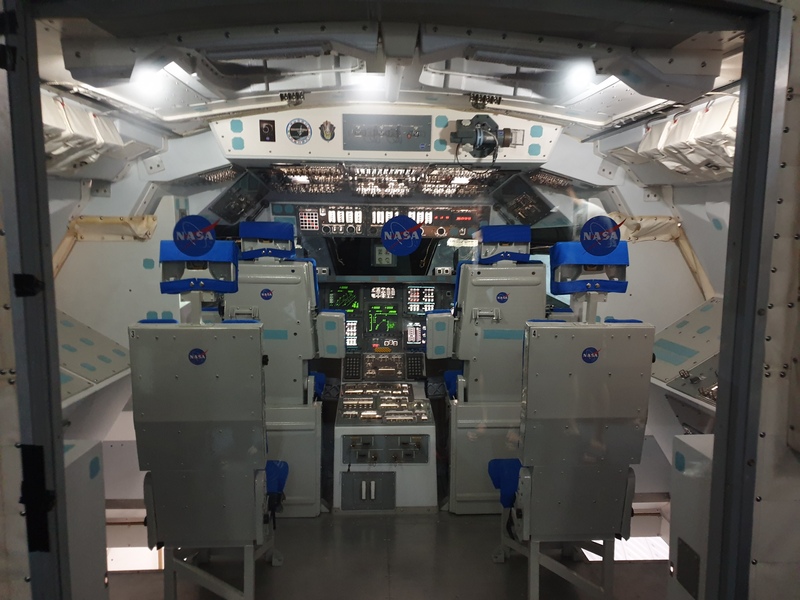 If you or anyone you know is interested in space and science this is definitely the place to go to see an important piece of the history of space travel. 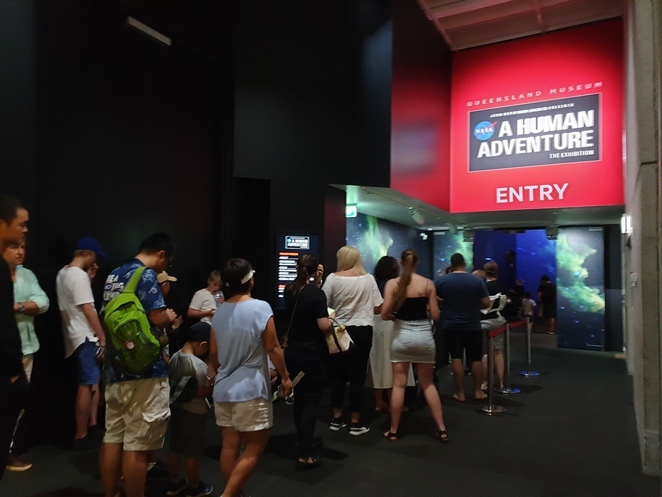 But get in quick because spots are filling up fast, and will fill even faster with the addition of the World Science Festival coming up soon! The queue is long, so you better get your tickets quick! 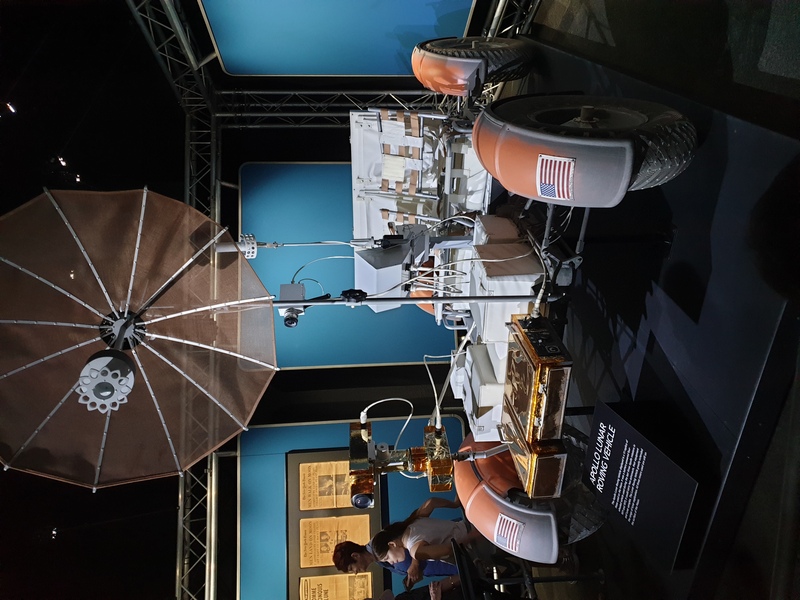 To start off the exhibit, you get to read about the interesting fiction that surrounded the moon before we even got our feet off the ground. Immediately you feel like you've stepped into a whole other world with this immersive room. 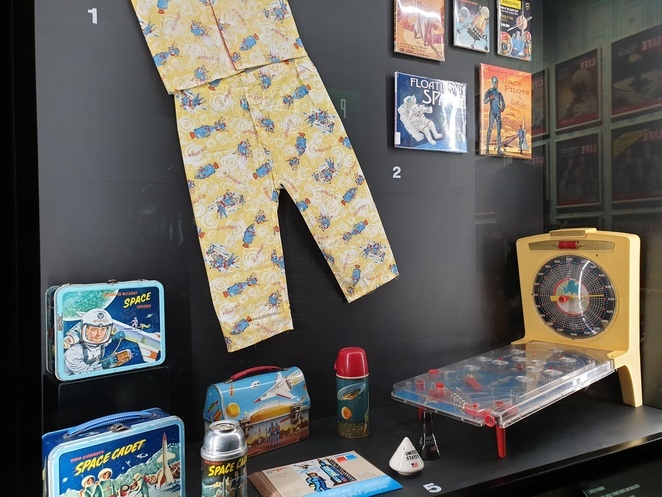 You then travel through to where the space race first began, and along the way you can see all the memorabilia and how the great American nation got swept up in the fever of headed out to the stars. 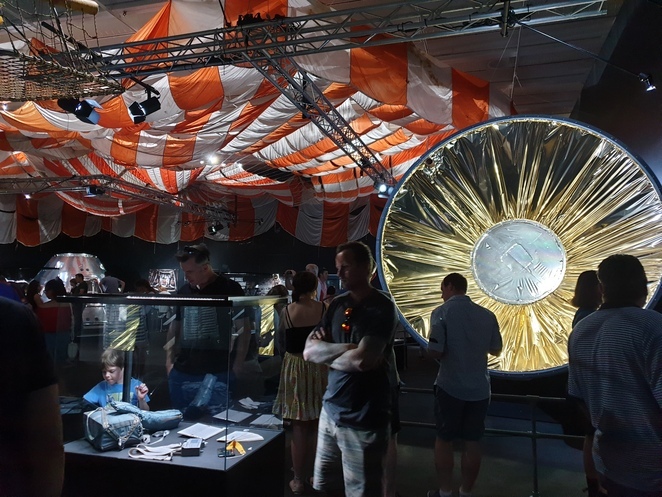 Throughout the exhibit, there are some really sweet and interesting artefacts, including notes written by a young fan to the space crew as well as their personalised reply. Alongside the real-life artefacts, there's also numerous replicas of rocket ships, real-life rocket ship parts, and information for kids of all ages to learn about not just space and space exploration but also what makes a rocket tick, and all the effort that went into sending man to the moon. It really is amazing to stand in the rooms and be dwarfed by the sheer size and scale of the objects. It's definitely one thing to see pictures, but a whole other feeling to see the real life artefact. Something my friend and I commented on all the way was "wow it's so much bigger than I thought it was". As well as, "it's crazy how much technology has changed, and that they were able to make it to space without all that we know now". 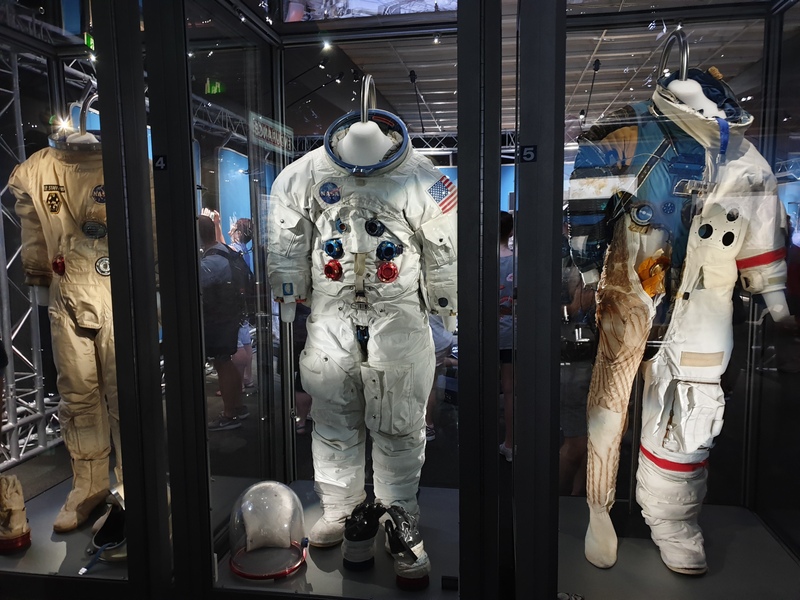 A definite highlight for me was simply being awed by the sheer size of the pieces on display and getting a sneak peek into what it would have been like being an astronaut in the good old days. 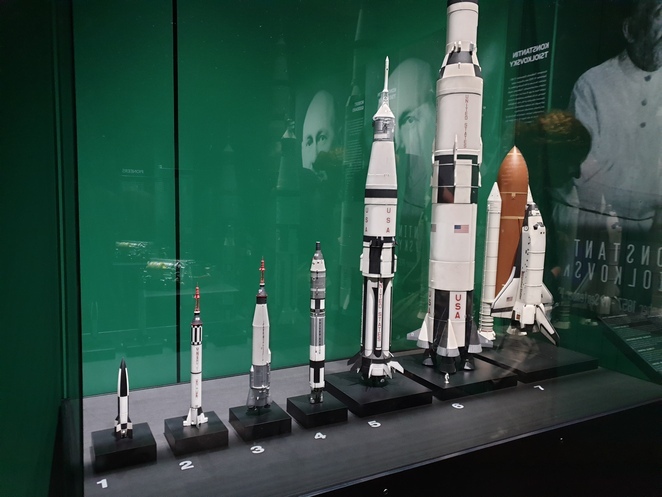 The exhibit is something a NASA fan or rocket ship loving child should check out. With the added bonus of being located in the Queensland Museum which always has lots of amazing and cool exhibits on display, so it really is not just a single exhibit you'll get to witness, but a whole array of fun and interesting exhibits which will appeal to those young and old. The NASA exhibit will be running from the 15th of March until the 9th of October and the price ranges from $10.80 - $21 depending on your age and whether or not you're a museum member. You can find the full details on their website here. You can easily get there by public transport at the cultural centre or Southbank train station, or simply take advantage of all the parking available in the Cultural Centre precinct. So what are you waiting for? When: The box office opens at 9:30am and entry times commence daily at 9:40am, then at 20 minute intervals through to the last entry at 4pm. The exhibition will remain open for exploration until 5pm.